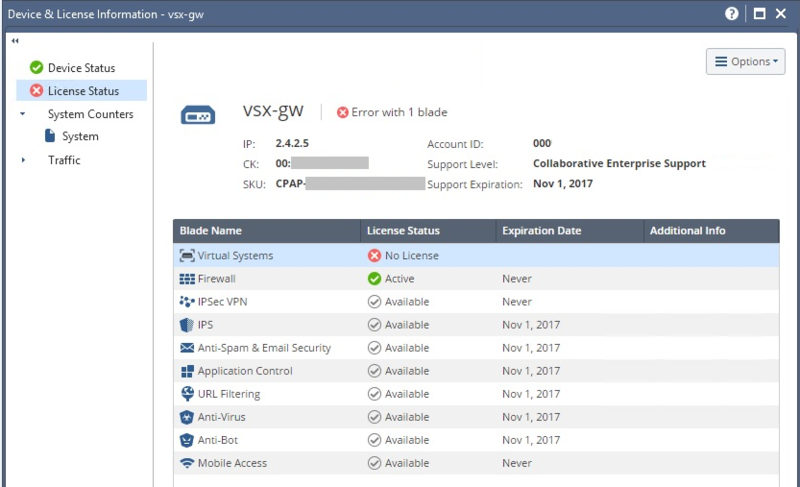 There is NO VSX License but the VSX allows 1 VS even if there is no license. Yet the new monitoring is not aware of that product session and reports the "real" status which is NO license. This is a SmartConsole cosmetic issue there should not be an error message when the license is default and there is 0 or 1 VS's.